Northgate Petroleum was founded in 1922 by Barnett Puritz. The company’s original equipment consisted of a two-horse-drawn tank wagon and Chico’s first Shell station. In 1988, Bud Caldwell, a twenty-year employee and stock-holder, purchased the company with long-time supplier and associate, Dennis O’Keefe. They re-named the company Northgate Petroleum. The company has owned and operated Shell, Sinclair, and unbranded convenience stations in many communities in the North State. They have also leased and supplied stations to other dealers in the area. 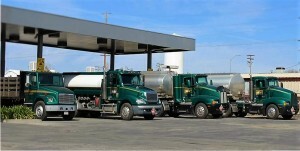 Bud and Dennis have continued to own and operate the company, directing their focus toward agricultural operations, commercial fueling networks, retail locations and interstate fuel transport.